Wedding planning is undoubtedly stressful. I really didn’t find it tooo bad. But I feel rather obligated to share any tips and tricks I found that I think would be helpful to share. Most people said I was the most laid back bride they had ever delt with. You want your wedding day to be nice, but you don’t have to be a brat about it. Keep your head above water. Stay calm. And remember that everything will be okay in the end. Go To Bridal-showsUtah is the place to be as a bride. The wedding business is huge here. We have so many bridal shows going on through-out the year. Go to as many as you can! I think we went to three. We won two free tux rentals. I won a free veil.Two make-overs and some Mary Kay product. We won a good number of other things.... But they are really helpful. Really informative. Just check online for ones going on. Places that host them are Thanksgiving Point, the South Town Expo Center, Provo High School, there is also one up in Salt Lake at the Joseph Smith Memorial Building which I didn’t go to, but is supposed to be pretty amazing. Also, don’t forget to pre-register! That’s super wise. And sign up for everything that is available. Be willing to give out your email. They will email you specials and deals. Wedding blogs are so fab! You can easily find blogs solely dedicated to weddings! They are all over! Always so adorable with the most amazing ideas! So inspirational! 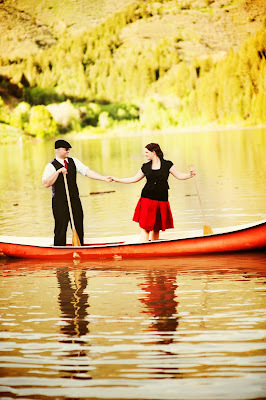 The Utah Bride Blog is fab! And it’s great that they are local! Do it yourself! Do it! Be a doer! And it saves so much money! I had two bouquets. I won a $50 gift card for one, and my mom put together the other one for me. I rather disliked the $50 one. But I loved the one my mom did for me. Guess how much is cost? $15 for 2 dozen roses. The $50 one? Only a dozen roses. DIY. Fancy (pricey!) flowers are over-rated anyways. You can easily get gorgeous ones at reasonable prices, they just might not be as easy to find. But... Cater Cater CaterWe did not cater. We DIY our food, which was not wise. Every one I talked to said Cater Cater Cater. And now I, and my parents are saying Cater Cater Cater. Yes, you save some money doing it yourself, but it is just so much work and head ache. Just scrape up the extra cash to get it catered and you will never regret it. Our wedding food was great! But I just recommend to cater. Cater. Cater. Cater. I use to Nanny her adorable twins back when I loved my job. She is amazing at what she does and I recommend her left and right. But Utah has lots of great photographer's. Like me! 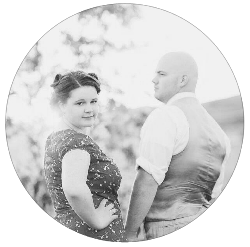 I love shooting weddings, (www.anomephoto.com) they are so much fun, and the more preparation I did for my wedding the more I fell in love with the wedding business. Bargain shop! Find places willing to beat down their price to beat out their competition. If I remember right, my dress was selling for I think $900. I went to four different stores and got it down to $625! Most places were more than happy to try and beat out their competition. Do your homework. Be prepared. I didn’t have to do that for my photographer, or cake decorator, but you probably could. It is stressful, but it can be fun too. Just remember what’s important; the start of a new life, with your love! It will all be alright. Be happy! You’re getting married!